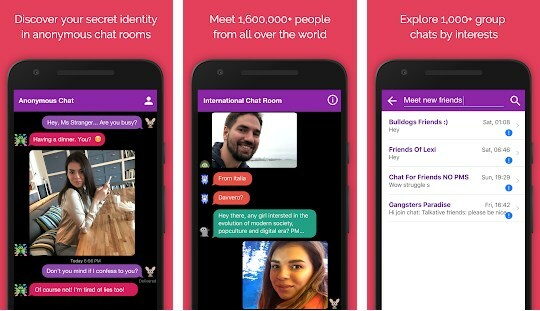 Anonymous chat rooms are quite popular among social network users that simply like to share their confessions, meet new friends and talk to strangers of their age without revealing their true identity. Perfect for those who don’t make friends easily or are too shy to talk to strangers normally. But not every of these apps can help you stay protected and keep your identity private. To make your search easier, we searched and have one amazing social app for this purpose. Let’s see what the app offers you.